I was speaking to someone yesterday who likened Tim Henman to Nick Clegg: your mum would love to have him round for tea, but he’s not got the ability to hack it at the highest level and will ultimately disappoint. 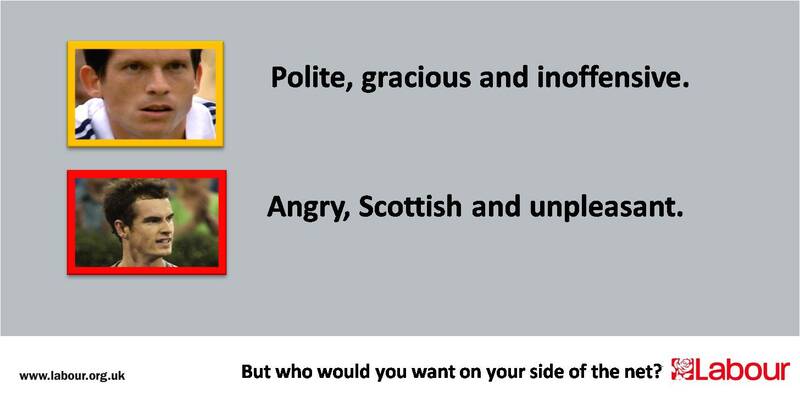 I’ve always thought Andy Murray and Gordon Brown have similar traits – difficult to like despite obvious ability – so I thought I’d mock up a poster for The Labour Party that makes the point. srsly – i think you should do it. where’s the poster?